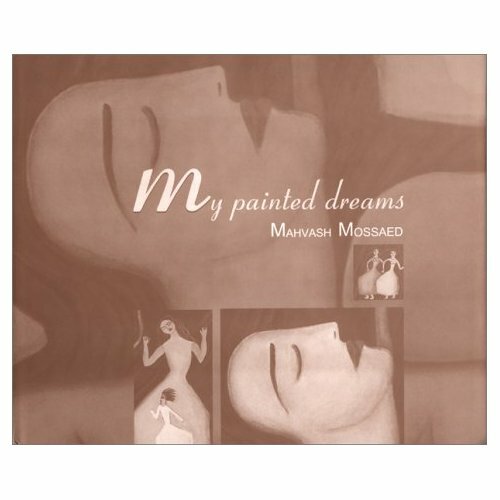 The following are excerpts from the book, My Painted Dreams: A Book of Poetry, by Mahvash Mossaed, available on Amazon.com. I found him one day in the pages of a book. He was literary, and heavy with commas, full stops and question marks. For he could well be the god I had lost or the love I could not find. Holding hands we went to shop in the crowded bazaar of life. But somehow he let go of my hand. Heavy with full stops, commas, and question marks. Beauty is soft and sweet. She whispers and takes your hand to show you everything that she is. With her you can only be obedient. You can only be like water—shapeless. Like wind—with no form. Obedient to her nature. She is so poetic, she lets you borrow her mask and her binoculars. She exchanges her eyes with your voice. You are astonished to find out that they match perfectly. Then she hands you a mirror. You scream just to crack God’s silence. Beauty is soft and sweet. You can only be obedient to her nature. Where is love? Where you left it. It’s shapeless, it’s nameless, it’s empty, it’s lost. And makes up its mind to make you or break you. Who lost her shadow many moons ago?